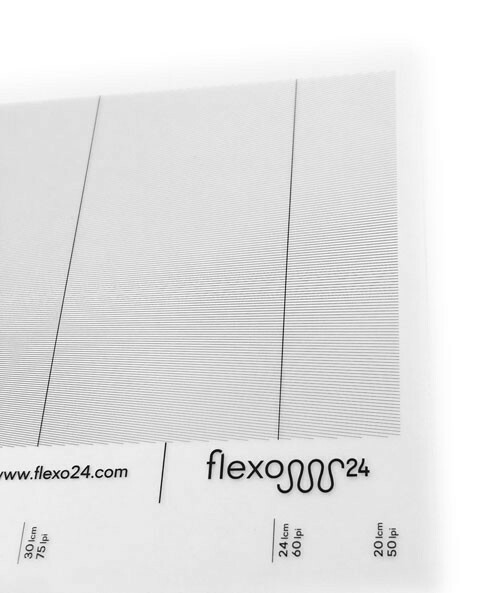 With the flexo screen counter you can set the screen ruling from an optical check between the lines and the screen of the print that you are verifying. The flexo screen counter is a 16x9 cm, 6.29“ x 3.54”, piece of clear photographic film that has been exposed with a high-resolution laser imager. Its pocket dimensions make it practical, and the convenient pouch protects it from wear and tear. It reproduces a pattern made of a series of lines: the denser the lines, the greater the screen ruling that you can check on the print. The flexo screen counter allows you to check the screen ruling of the image reproduced on the printed media. The unit of measurement is lcm (lines per centimetre) or lpi (lines per inch). The screen counter is made up of a series of high-definition radial lines, and lets you measure from 20 to 100 lcm, lines per centimetre, or from 50 to 254 lines per inch. To check the screen ruling correctly, place and rotate the screen counter on the surface of the printed image. The flexo screen counter visually intercepts the dots and an optical interference is produced by the intersection between the printed dots and the lines on the screen counter. With this process, the screen counter will form a rhomboid, producing a sort of moiré pattern. The centre of this rhomboid will be the line which, in the measuring scale of the screen counter, intercepts the screen ruling used for the print that is being checked. 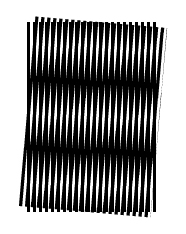 What allows the interception of the screen ruling is the visualization of the moiré effect. The moiré effect is an interference created by overlapping two grids (screens) or series of lines that are apparently identical. It is an optical effect, a real visual distortion. This effect allows us to understand and intercept the screen ruling. It is very important to handle and maintain this special tool with care. It is a photographic film of the highest definition, and the transparent material and photographic emulsion used for the lines are very delicate. We recommend that you always keep it in its protective transparent pouch and avoid touching the surface with your hands or dirty gloves as they might leave stains on the surface, thereby affecting measurement. The flexo screen counter is a useful working tool for flexo printing that helps to quickly verify the screen ruling, thus avoiding errors and loss of time that financially affect the producer. 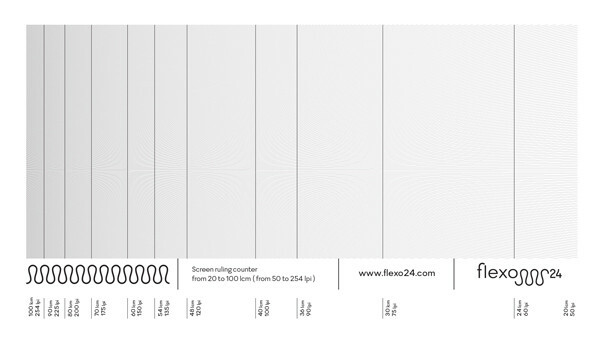 Buy the flexo screen counter now, and have it delivered in 24 hours.